What is the longest river in Continental Europe? What is the tallest mountain in Ireland? 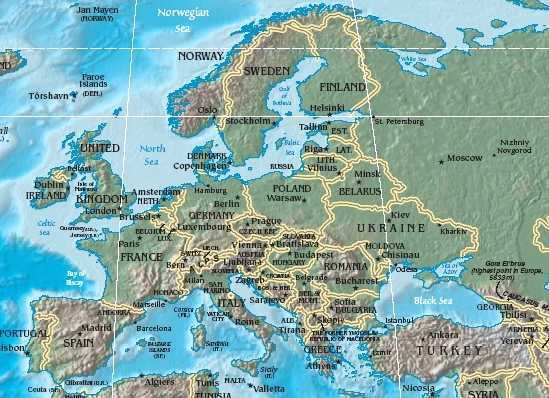 Which of the Scandinavian countries is largest in area? Plymouth is a city in which English county? Which is the only country to lie entirely within the Alps? How many countries does the River Danube flow through? Polar explorer Roald Engelbregt Gravning Amundsen was a native of which country? What mountain range separates Scotland and England? 10 – Germany, Austria, Hungary, Romania, Moldova, Croatia, Serbia, Slovakia, Bulgaria, Ukraine.